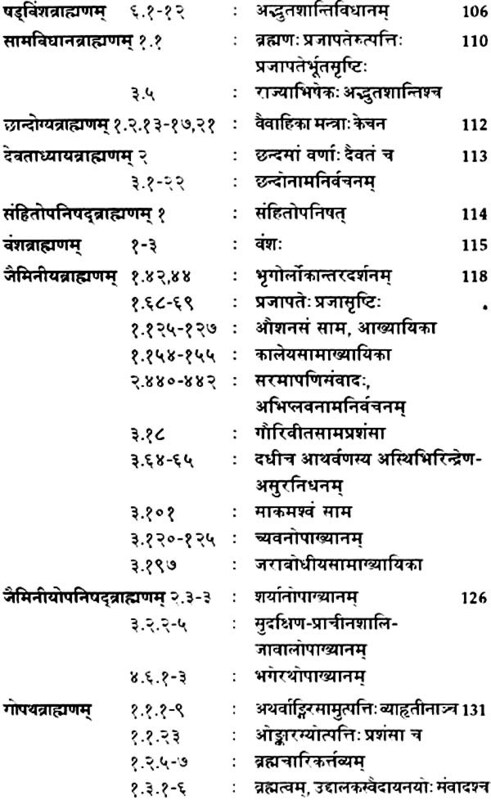 Brahmanas are a constituent of Vedic literature. 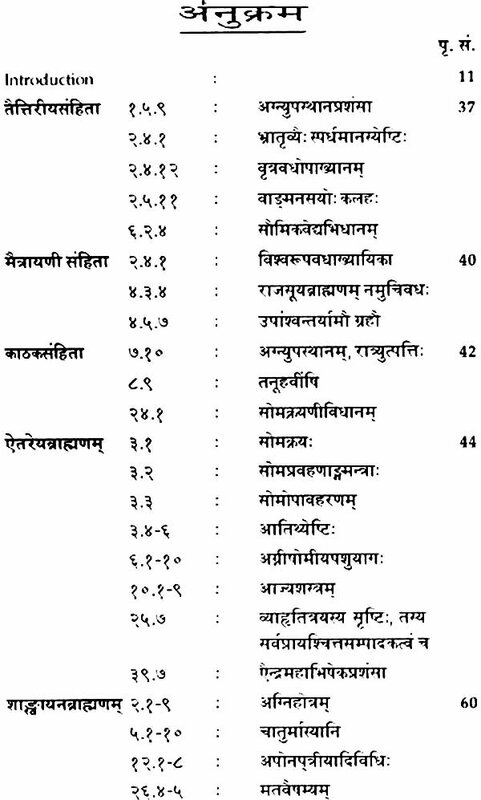 The Samhitas of the Krsna Yajurveda. 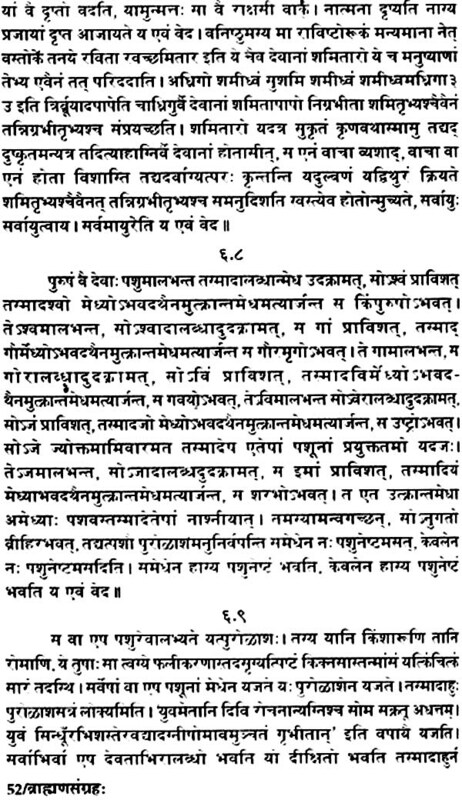 Kathaka, Kapisthala Katha, Maitrayani and Taittiriya, contain also Brahmana passages. 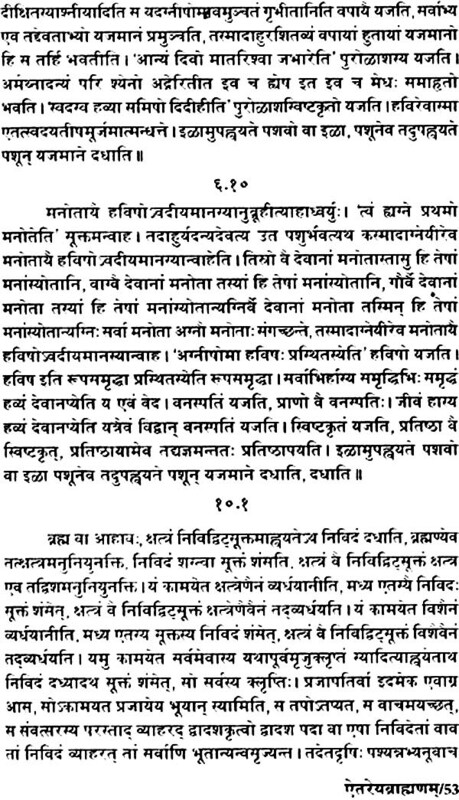 In these passages we have the beginning of the Brahmanas. It is highly misleading to define the Brahmans as mere manuals of sacrifice or liturgical text. 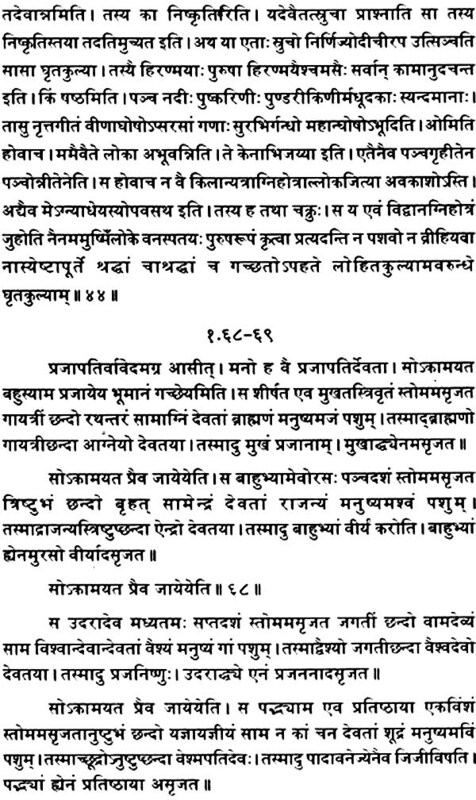 The word Brahmana means an explanation on any point of ritual. Used collectively, the word means a collection of such explanations complied in a book. 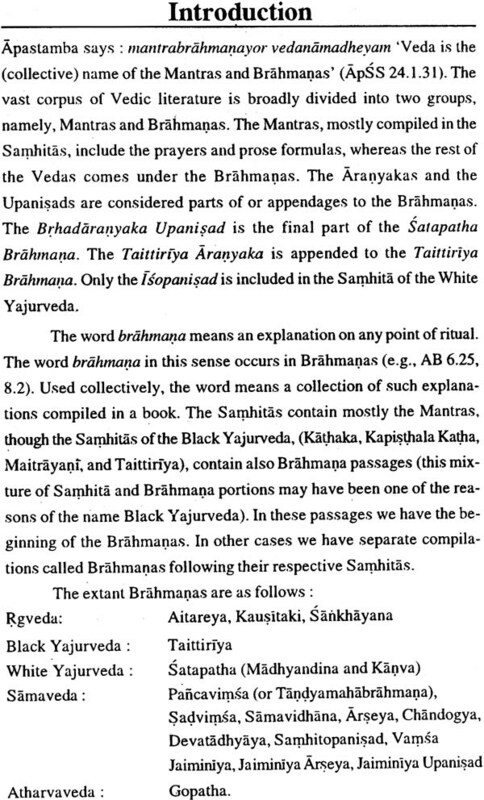 Apart from the usually short prose formulas in the Samhitas, the Brahmanas are the most important source of information on Vedic prose, especially from the point of view of syntax. 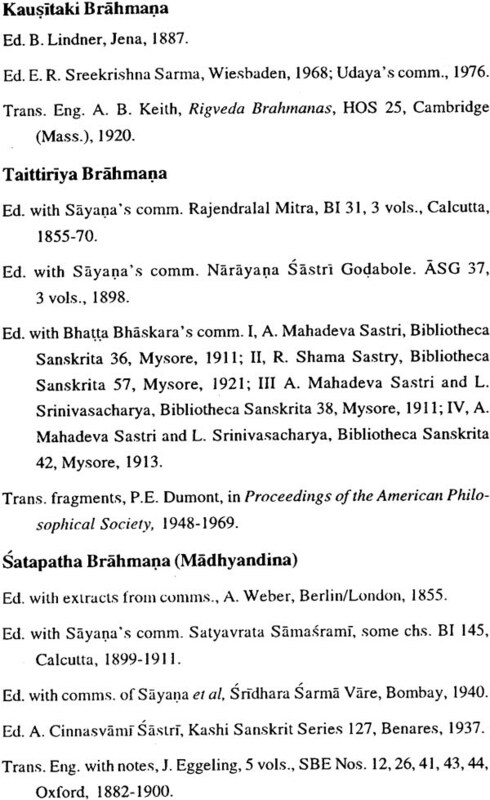 They provide the oldest specimens of Indian narrative prose. 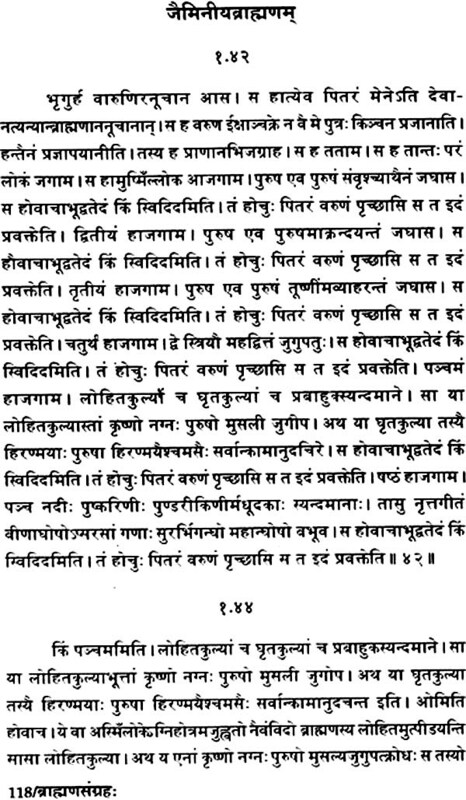 Yajna ‘sacrifice’ is the central theme of the Brahmanas. There are, however, many more things appearing in connection with the sacrifices. In fact, they are compendiums of ancient Indian culture and civilization in its multifarious aspects. The present work contains an anthology of the Brahmanas compiled with the view to giving some idea of this literary genre, its style and variety of contents. 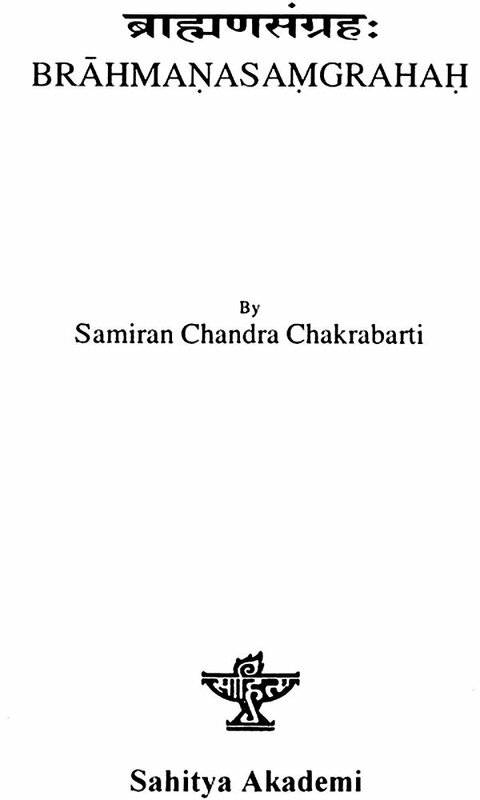 Prof. Samiran Chandra Chakrabarti the editor of the present volume is an eminent Sanskrit scholar and an exponent of Vedic Studies. He did his Ph. D. From Calcutta University and worked as professor and Director of Rabindra Bharati University, Kolkata. 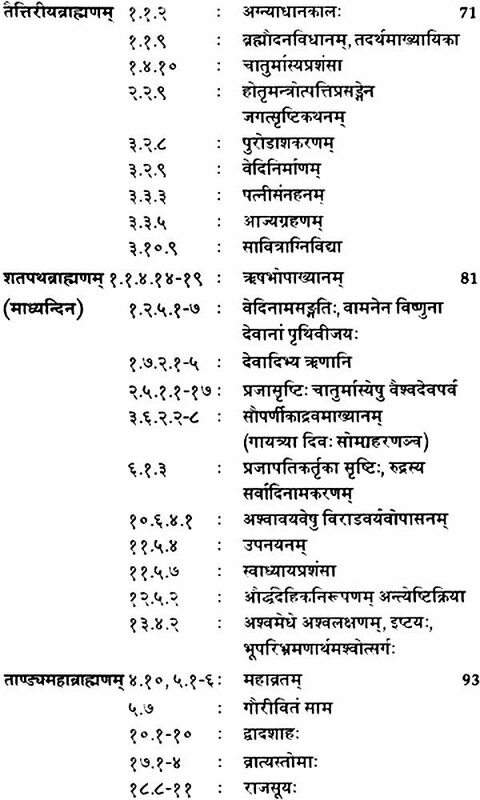 He has edited and written many books including The Paribhasas in the Srautasutras and Rgveda Pratisakhya. Associated with various institutions and an active member of the Akademi’s Sanskrit Advisory Board from 1992-97, prof. Chakrabarti has visited several foreign countries to deliver lectures. His articles have been published in international journals and felicitation volumes. He has secured a number of prizes and honours. 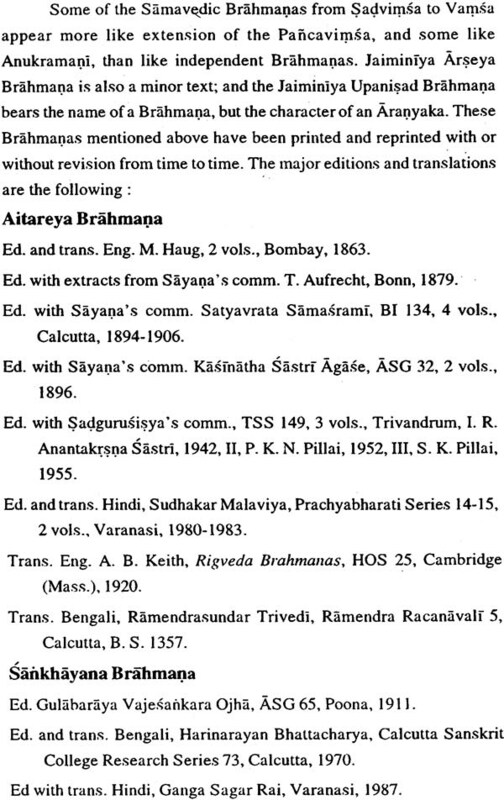 I am thankful to the Sahitya Akademi for the request to compile this anthology of the Brahrnanas, which constitute a major part of Vedic literature. 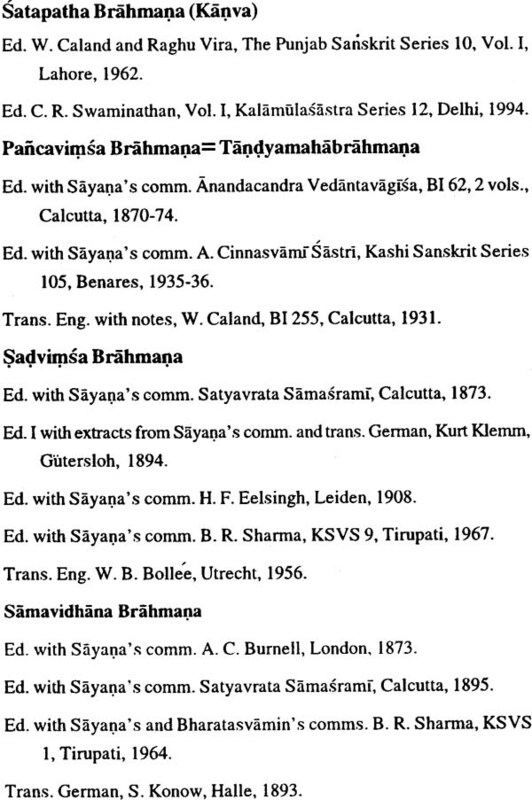 This volume contains representative pieces selected from the Brahmana portions of the Samhitas and the separate works called Brahmana. I shall be glad if this small volume can give' the readers an idea of the subject. My thanks are due to my former pupils and present colleagues Dr. Krishnakali Bhattacharya, Senior Lecturer, and Srimati Tripti Saha, Project Assistant, School ofVedic Studies, for their kind assistance in getting the pieces typed and correcting the press copy.